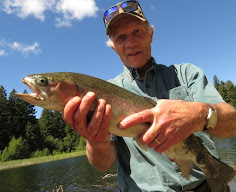 This is just a short note to let all my readers know that I have added a collection of exiting fishing videos from British Columbia. You can find the listing by looking in the right hand panel about half way down. Lick on the thumbnail image and the video will pop up. Enjoy! This feature will be regularly updated with some of the most thrilling, educational and entertaining fishing videos you will see anywhere.